MALLET, A.M. - Amerique Septentrionale. Amerique Septentrionale. - MALLET, A.M. Size : 5.6 x 3.9 inches. / 14.3 x 9.8 cm. 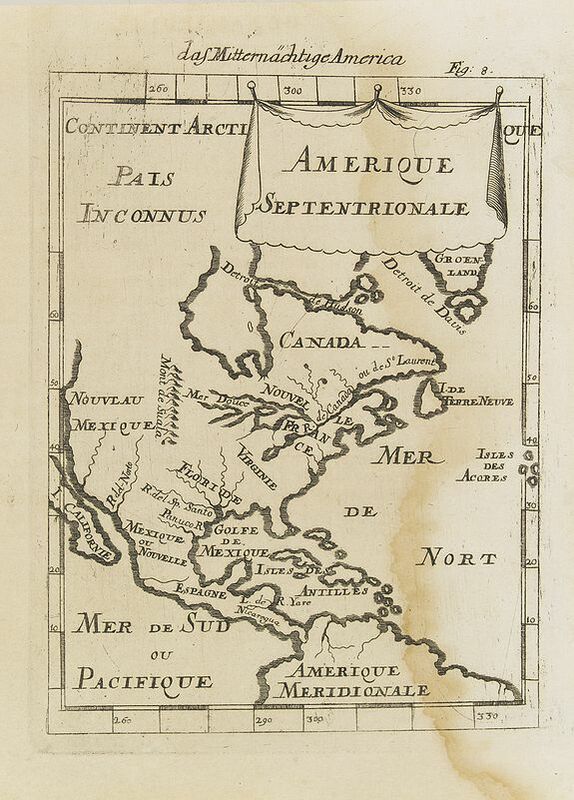 Description :A charming late 17th century French map of North America, showing California to 40 degrees North and labelled I.Calfornie. Condition : Heavy water staining on right half of engraved area. Else good condition.